have you tried the latest beta version (7), a bug like this was fixed. Great but where may I download the Beta version please ? Are your images stored on an external drive or secondary drive? That may be the issue, how are you adding them? dragging them in? 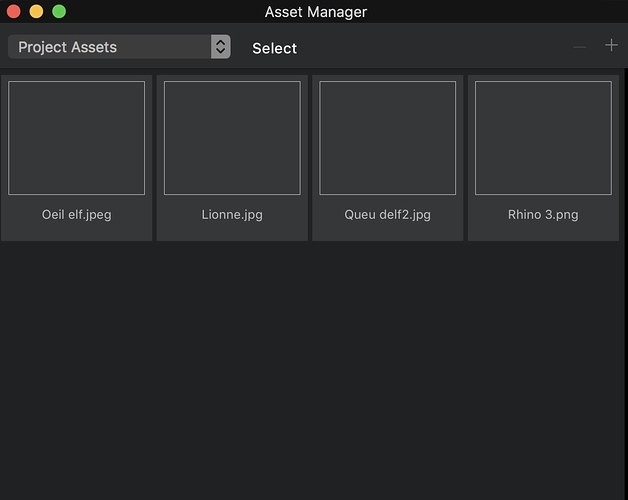 clicking the plus button on the asset manager window?.. ok this may be the issue, are the file paths static?